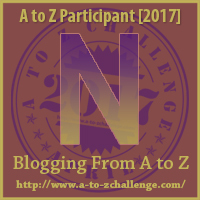 This entry was posted in A - Z 2017, Creativity, General and tagged A - Z 2017, Creative Process, Robyn LaRue, Writing Habits. Bookmark the permalink. I am a lark, for certain. I like to get up early before any part of the world is distracting me. I don’t often get a chance to write in the morning, but I take notes as the thoughts form. I often wish I were more of an early bird and not a night owl. But my habits have recently shifted toward earlier morning because of work. Maybe I should try writing then. I used to #noFacilities able to work/write more in the evening, but after work these days, I’m less inclined to be creative. Oh, how I’ve missed my sarcastic muses! I’ve always been a lark…so much so, that my college roommate informed me that come 9 pm, I become “an inoperable wench.” I so wish I could stay up late, but just can’t do it. The only thing I want to do @ night is sleep. But, I’m at my laptop come 5 am to write. I love how quiet and still the world is. Plus, I’m rested, but not still fully awake, so I write in almost a dreamlike state. It’s just what you’re talking about, Robyn, except it’s at 5 am (not 2 am) and after a full night’s sleep. I think morning writers have a great blessing in the use of the “dream state brain.” I’ve experienced it a few times and know my imagery was better going from bed to the page. It works until someone speaks to me or I have to speak. That dreamlike state is awesome, isn’t it? I’m so glad I can get there when I’m sleepy as well since I can’t seem to go to bed early lol.